In the first post on the Greenwich Park Branch we left train approaching the long gone Blackheath Hill station, having squeezed between the backstreets of Greenwich, as we attempted to follow the remains of the branch line from Greenwich Park. 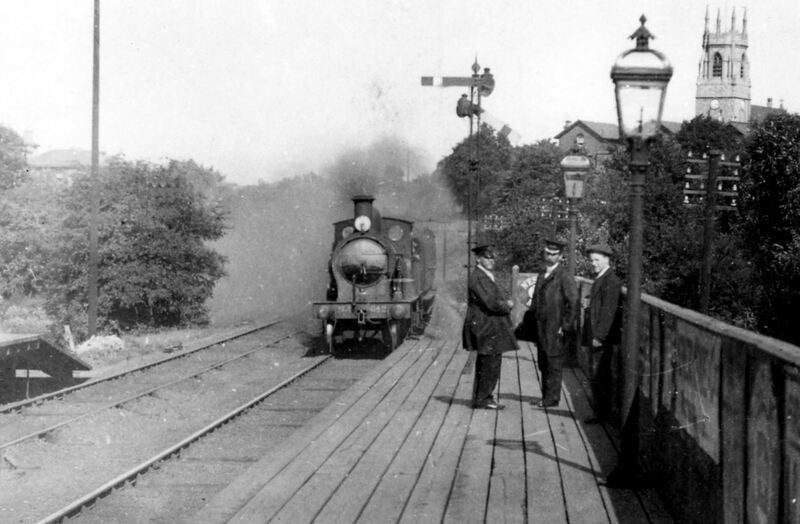 Before getting our virtual ticket to travel to Nunhead it is worth recalling a little of the line’s history – the railway was a relatively short lived one, built by the London, Chatham and Dover Railway from and existing junction at Nunhead to Greenwich Park. Most of the line opened in 1871 (apart from Brockley Lane station which opened in 1872) but didn’t reach Greenwich Park until 1888. The line was never a financial success, journeys into central London much slower than from Greenwich and changes often being needed at Nunhead. The line closed in early 1917 due war time financial savings. It never fully re-opened, with the section to the north east of Brookmill Park being largely abandoned and the remaining section eventually incorporated into the Dartford to Victoria line. 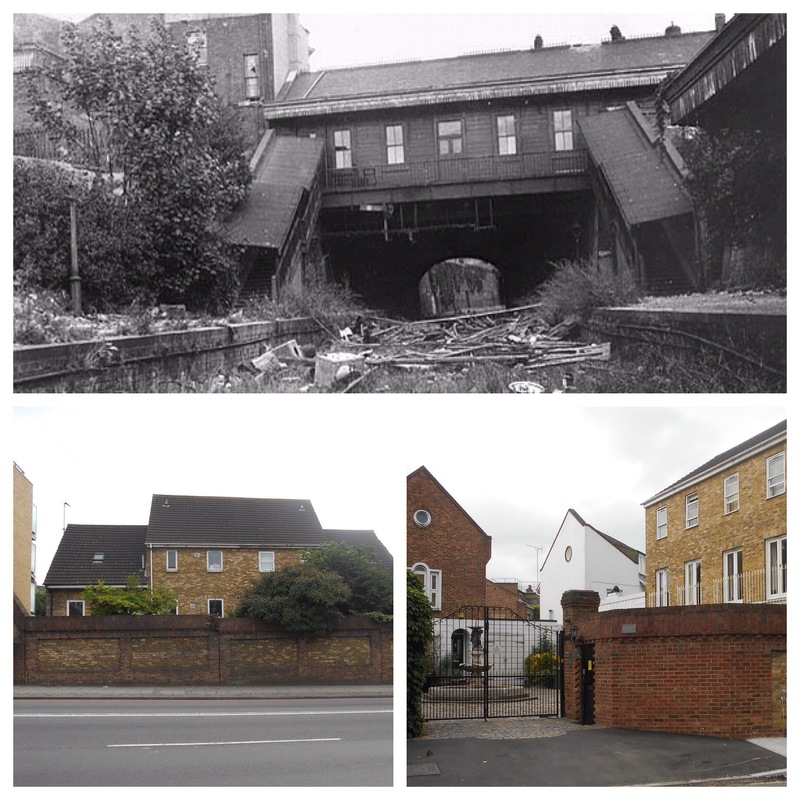 Blackheath Hill (top photo below) was the initial terminus for the line when it opened in 1871 as the London Chatham and Dover Railway struggled to fund the development of the route through the already densely built Greenwich. After the station closed it became a light engineering works with the tunnel under Blackheath Hill to the station was also used as a factory. A wall bars the way from Blackheath Hill to the recent infill of Robinscroft Mews (bottom left), it is gated at the Sparta Street end preventing any peeking for unlikely remaining signs of Blackheath Hill Station. 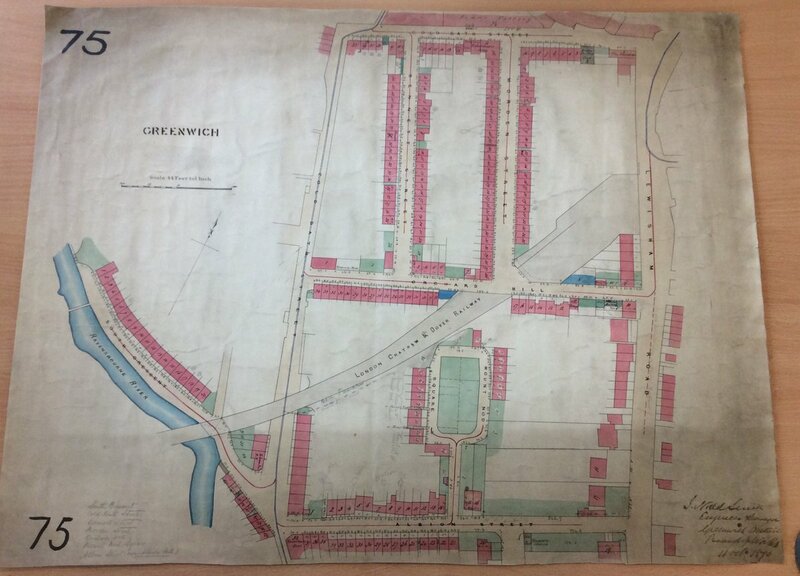 A fascinating recent find at the Greenwich Heritage Centre (see picture credits below) shows plans from the Greenwich Board of Works from 1870 for the next section of the route as it dropped down towards the Ravensbourne. 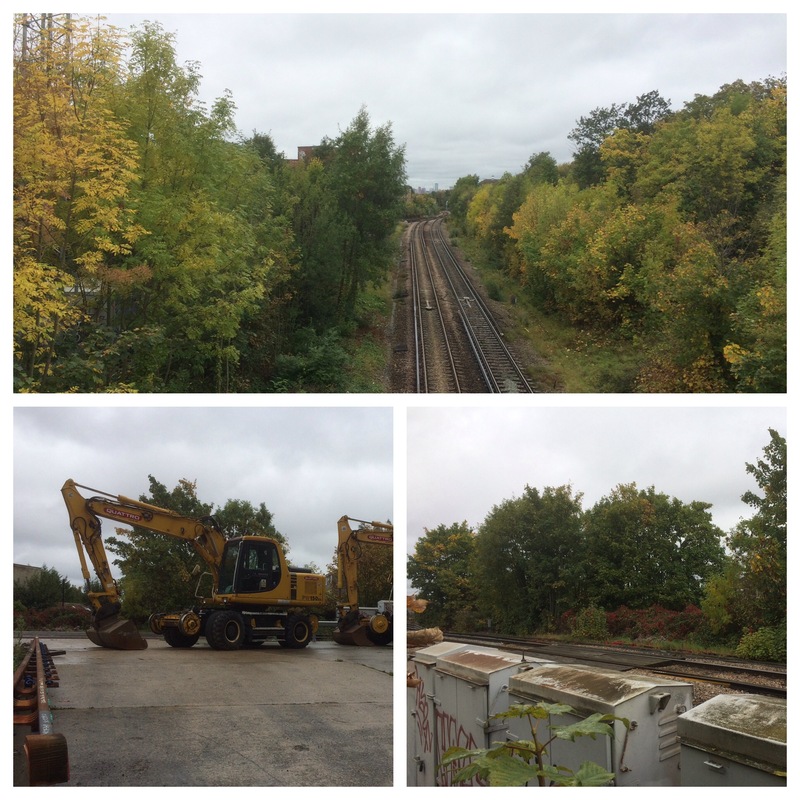 The railway was in a cutting as it crossed Lewisham Road, but any sign of it in this area to the east of Lewisham Road has been completely obliterated by the 1960s redevelopment of the area through the Orchard and neighbouring estates. Its route would taken it through Melba Way, touching Morden Mount School and then emerging out onto an embankment to smooth out the dip containing the Ravensbourne. 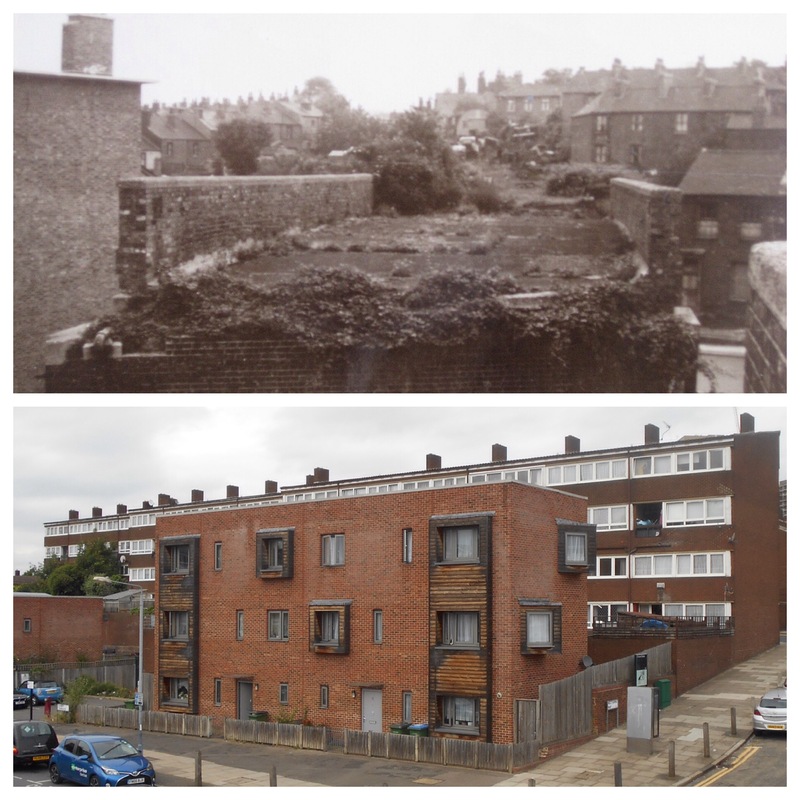 The upper photo below (see credits below) shows the remains of the bridge over Coldbath Street – along with the current view from a similar location. 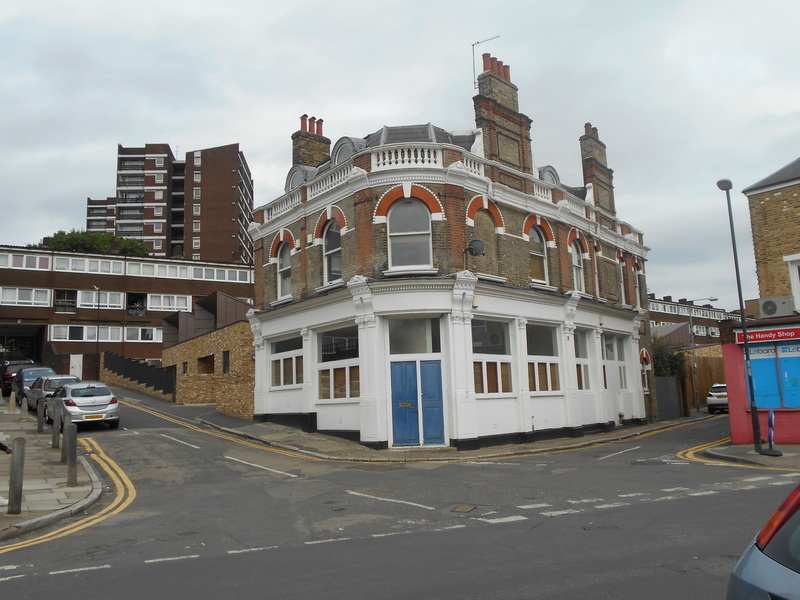 The only remains of the time when the Greenwich Branch passed through would be a rather grand looking former pub, the Ravensbourne Arms – which closed its doors as a pub in 2013, on the corner of Silk Mills Pat and Russett Way. It shouldn’t be confused with the also closed pub opposite St Mary’s Church in Lewisham which was known for most of its life as the Coach and Horses. The railway would have the crossed the northern end of the platform of the Elverson Road DLR station before passing through Brookmill Park – still on an embankment. 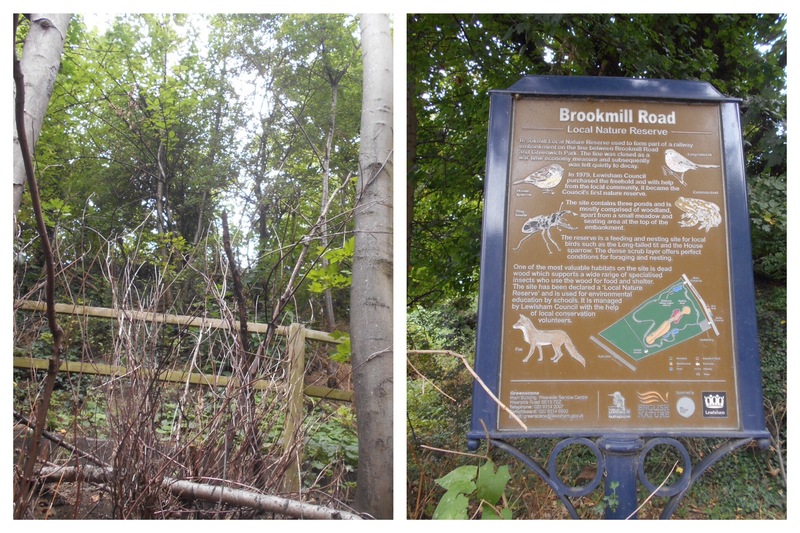 The former railway’s lofty perch is still there through the park and on the opposite side of Brookmill Park in the Brookmill Nature Reserve. After the tracks were removed in 1929, the land was largely abandoned for 50 years by British Rail, presumably used as an informal play area. The freehold was bought in 1979 by Lewisham Council and with input from several local groups created the Council’s first nature reserve. There is a rich varied flora within the reserve. Beyond the nature reserve, the main line into London Bridge was crossed close to St Johns and the Greenwich Park Branch line headed towards the next station Lewisham Road, the name presumably a shortened version of Lewisham Way’s previous name – Lewisham High Road. 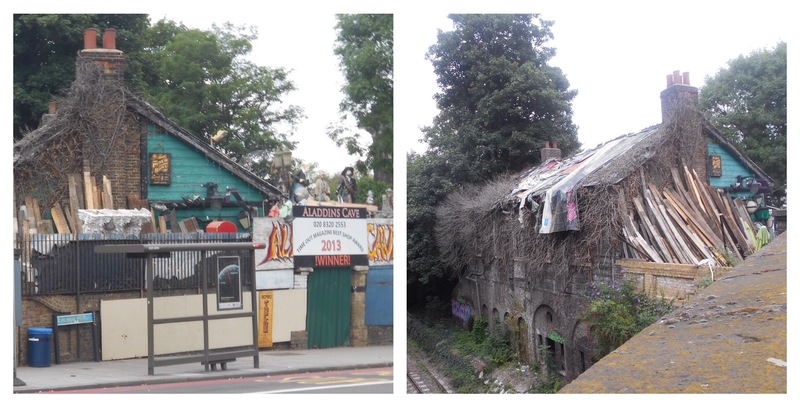 Unlike the previous two stations, Lewisham Road is still there – at street level at least the building remains, it is ‘home’ to a salvage and second hand shop – Aladdin’s Cave – whose roof is covered with tarpaulins so may not necessarily be in a great state. The railway is visible at this point too, crossing again Lewisham Way in a deep cutting, the south western side of the bridge is home to a micro library in a listed phone box – visited in the early days of Running Past. The route to Nunhead is largely flanked by Drakefell Road to the north and St Asaph’s Road to the south, occasional glimpses of the railway, deep in a cutting are visible via the roads and paths that bridge it. Nunhead Station was the terminus for the line and often required passengers to change train to head into Victoria or St Pauls (now Blackfriars). In addition to the main line from Catford Bridge and Crofton Park, there was also a line to the Crystal Palace High Level Station (a route that Running Past will no doubt follow one day). 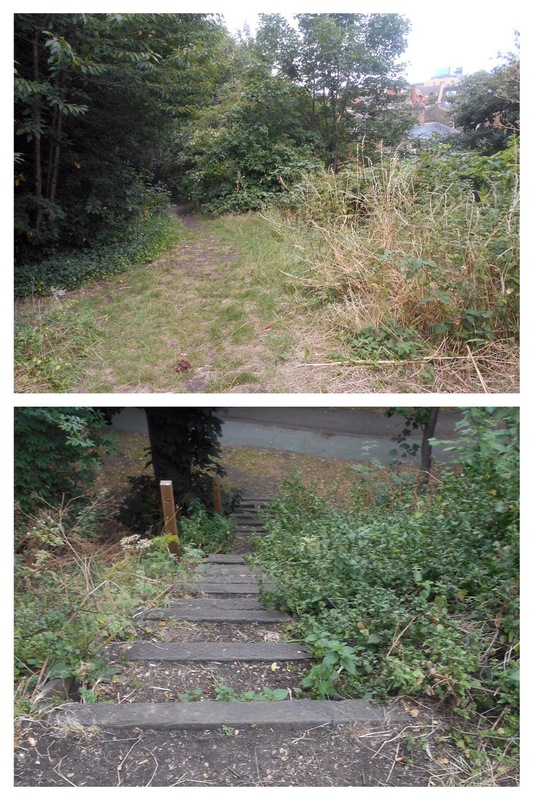 At this stage, when the Greenwich Park Branch Line was functioning, the station was in a slightly different location – closer to the Lewisham side of the bridge, where Bonita Mews and a plant hire yard are now located (the bottom two photographs below) although there is nothing left of the former location of the station.. Looking back, the decision making relating to the route seemed strange in that it skirted Lewisham and by the time it reached Greenwich Park the neighbouring Greenwich station was already well established and most of the other stations also had rivals from other operators. Combine this with a circuitous route into central London, often requiring a change it is of little surprise that the line didn’t survive. Most of the black and white photographs come from Greenwich Photo History Wiki and are able to be used for non-commercial purposes such as Running Past, the exception to this is the photograph of Brockley Lane platform which was from eBay in April 2016. The coloured map is courtesy of Greenwich Heritage Centre and Julian Watson who found and photographed it for me – enormous thanks to both. 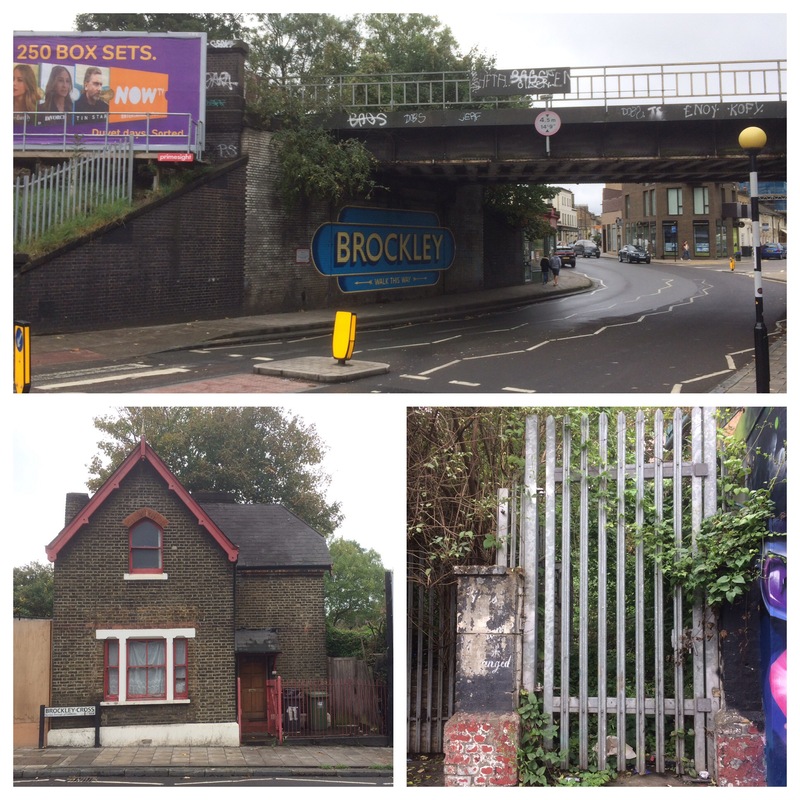 This entry was posted in Uncategorized and tagged Blackheath Hill, Blackheath Hill Station, Brockley Lane Station, Coldbath Street, Greenwich Park, Greenwich Park Branch, Lewisham Road Station, Nunhead Station on October 27, 2017 by Paul B. Just found your blog courtesy of 853, really interesting. When travelling from Lewisham to Victoria (or Charing Cross) the train flies over onto presumably what was the line. 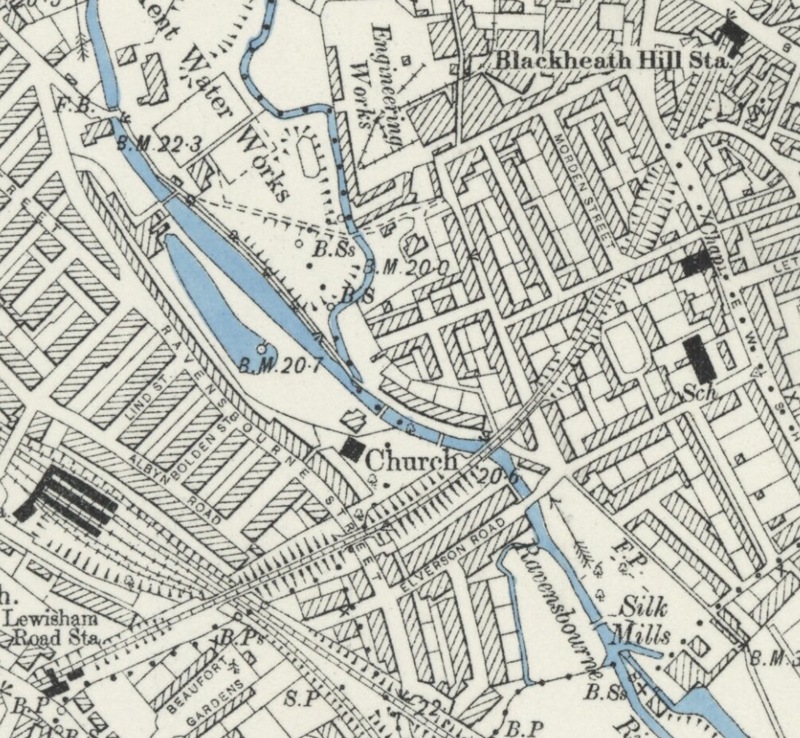 You can still see the embankment that is now Brookmill Road and where the Victoria branch once ran. Yes, that’s right – you can see the embankment on your right going into central London. That point on the main line was the location of the awful Lewisham rail crash of 1957, the 60th anniversary of which is on 4 December. Thanks for visiting!